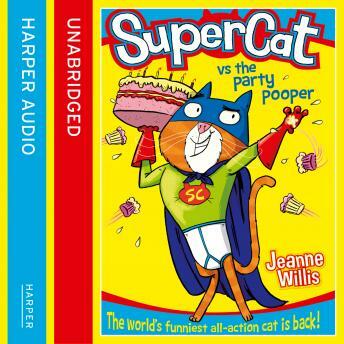 Supercat is back in the second instalment of everybody's favourite cat superhero series, from bestselling author and queen of comedy, Jeanne Willis. Tiger was an ordinary pet, until the day he licked a toxic sock and was transformed into...SUPERCAT! Now, the evil Count Backwards has kidnapped the Queen from her own birthday party and plans to take over the world! With his superpowers, his best friend James, and a few tricks in his party bag, can Supercat save the day?